This article is a 12min, indepth analysis of the market for alternative investments in Nigeria, in partnership with FINT, an online peer-to-peer lender. Deposit your money in a savings account. The bank bundles those savings into a loan to a furniture-maker, receives interest on the loan, and uses a portion to pay interest on your initial deposit. That’s how banking and lending works. Banks take money from Peter to give Paul. But, what if we could cut out the middle man and give our savings directly to the furniture-maker? That is the question that has been posed—and answered—by Nigeria’s Financial Technology (Fintech) companies which have applied the logic of crowdfunding to industries like agriculture and real estate, creating a range of new investment options. Nigerians have piled into these alternative investment products, tempted by the promise of high returns and encouraged by user interfaces lubricated by cutting-edge technology. One popular form of these start-ups is a model that connects investors to farmers and splits the profit from the farm yield between the two parties. At least half a dozen of these agritech platforms exist, with a few of them attracting substantial international interest. A newer model is peer-to-peer (P2P) lending which matches borrowers and lenders (investors) who make returns through the interest on loans repaid. P2P lending is smaller than agritech finance in Nigeria but is a billion dollar industry globally. 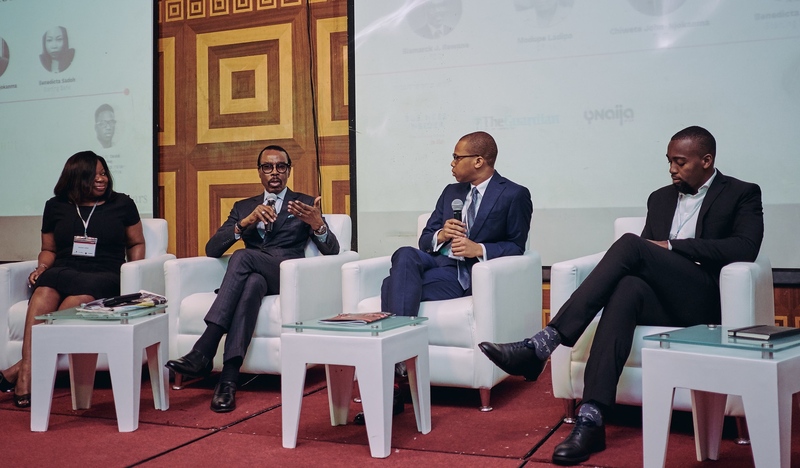 Within just a few years, these alternative investment platforms have exploded, riding on and perpetuating a budding investment culture among Nigeria’s youth. We should anticipate further growth; it is arguable that Fintechs will shape Nigeria's future investment landscape. I. Why will alternative investments thrive? Alternative investments will thrive even more in the future because Nigeria’s credit deficit is large and growing. To understand the relevance of this point, we must remember that one man’s need for capital is another’s investment opportunity. When Oando raises equity on the Nigerian Stock Exchange to finance expansion into other countries, I can invest in those shares and get dividends. Likewise, when a fashion designer tries to get a loan to build her factory, I consider it an investment opportunity: give her the loan and get my returns in interest. In short, an investment opportunity lies on the other side of every capital need. Nigeria’s retail loan sector remains untapped—only 8% of Zenith Bank's 2018 gross earnings came from the retail segment—and many Nigerians still don’t have access to affordable loans. Nigeria’s private sector is crying out for additional capital. The agriculture sector currently has ₦610 billion worth of loans from commercial banks, equivalent to just 2% of the sector’s GDP. 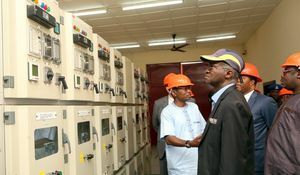 Meanwhile, the mining sector has ₦21 billion worth of loans outstanding, equivalent to 9% of mining GDP—and mining accounts for less than 0.5% of the Nigerian economy. There is no controversy in saying that access to credit is a significant challenge for Nigeria’s farmers and this need will only grow as the sector moves away from subsistence farming. Other industries (existing and upcoming) with similar finance needs may struggle to raise funding from banks, development agencies, or venture capital in the current environment. Nigerians looking for high-yielding investments could plug the gap and inadvertently finance the next generation of job-creating industries. Besides, Nigeria’s retail loan sector remains untapped—only 8% of Zenith Bank’s 2018 gross earnings came from the retail segment—and many Nigerians still don’t have access to affordable loans. Alternative investment platforms are better placed than traditional financial institutions to meet this demand for capital because they are more efficient at solving Nigeria’s credit market imperfections. The main reason some sectors or people in the country still can’t get affordable loans is that lenders struggle to differentiate between safe and risky borrowers. Nigeria’s Fintechs have found innovative ways around this asymmetric information problem. FINT, a leading P2P lender, uses data analytics to assign internal credit ratings to each borrower. Meanwhile, many agritech startups de-risk agriculture lending by assisting farmers from the planting stage until the product is sold. However, these are all micro-solutions, and Nigeria’s asymmetric information problem is still unresolved. Small steps have been taken to address it, notably with the passage of the Credit Reporting Act 2017 which sets standards for establishing credit bureaus and frameworks for credit reporting. 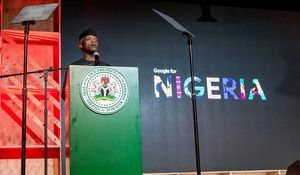 In addition, the Federal Government has floated the idea of merging the different identity databases in the country, a move that would make it easier to identify Nigerians—a precursor to building credit histories. Results from these will only be seen in the long-term, and as long as credit market imperfections exist, industries and people shunned by traditional institutions can turn to crowdfunding platforms and find many Nigerians eager for higher returns. Notably, quite a few alternative investment platforms in Nigeria exist because traditional financial institutions cannot or will not provide capital to a particular area of the economy. For example, some agritechs exist because only a few financial institutions would fund pig farming. This observation is important because technology would likely widen the gap between what traditional investment vehicles and Fintech platforms can do. For instance, imagine a crowdfunding investment platform directed at harnessing diaspora investments, leveraging the fact that it may be much easier for a Nigerian in London to acquire equity in land in Ogun State than a publicly listed company. However, one stumbling block would be regulation as crowdfunding is unregulated in Nigeria, meaning that some of these investments can fall foul of the more stringent international money laundering rules. II. What investment opportunities compete with new 'alternative investments? Of course, we would be remiss if we considered the future popularity of alternative investments without exploring the likely available alternatives. In truth, the competition is underwhelming and can be classified into three buckets: bank deposits, traditional financial assets, and nonconventional financial assets. Looking at banks savings, it would be optimistic to expect Nigerian banks to make their general deposits options more attractive. Instead, two trends will persist. First, banks will increasingly offer better rates to the high-end market, those with large volumes in fixed and term deposits. Second, digital banks will become more popular, and these would offer slightly higher deposit rates as they have lower administrative costs. In theory, traditional financial assets should boom in the coming years as Nigeria’s markets remain glaringly small for an economy of its size. Our stock market is worth about ₦11.5 trillion, equivalent to 9% of GDP, while the South African stock market is worth over three times its GDP. One reason for this is that institutional investors like pension funds are still unwilling to invest in riskier assets like equity, but retail participation is also weak, accounting for under 10% of stock market activity. However, getting more Nigerians to invest in the stock market has proven quite tricky. Many potential investors are turned off by the shallowness of the market (there are only about 30 credible and liquid stocks to invest in) and the market crash of 2009 scarred others. Finally, even with the rise of online and mobile trading apps, investing in the stock market is still relatively cumbersome in this digital age, mainly due to strict Securities & Exchange Commission (SEC) regulations, so people opt for easier alternative investments. In summary, one can anticipate material growth in stock market participation in the coming years as other credible companies list on the exchange (e.g. MTN Nigeria) and firms improve their digital offerings, but retail participation would still lag others. The other main traditional asset is fixed income (e.g. treasury bills) and these should remain attractive to the average Nigerian as long as interest rates are high, but do not offer much value to those seeking excess returns. In fact, the toughest competition for alternative investments in the future would come from the last category: nonconventional financial assets. These are investments like private equity, real estate investment trust (REITs), and infrastructure funds. A lot of these are comparatively small in Nigeria. However, uptake here would mainly come from institutional investors—regulation and investor scepticism will slow retail adoption of things like REITs. Looking at all this, in ten years, an institutional investor (and high net-worth individuals) may have more attractive nonconventional instruments to invest in, but a retail investor’s best bet for high returns and ease of access would likely still be alternative investments provided by Fintech firms. III. Could conventional platforms still beat FinTechs? We underestimate traditional financial institutions at our peril. Earlier, I claimed that some alternative investment platforms thrive in Nigeria because banks will not lend to specific sectors. Well, that may change. People have known for a long time that a daring bank can make a lot of money from agriculture and retail loans, but with Nigerian banks saddled with a high proportion of non-performing loans, Fintechs have dared first. Nevertheless, banks can recreate the models used by these startups and rely on the natural advantages granted by economies of scale. The entrance of banks into these markets would not necessarily kill Fintech companies. Some may be acquired by banks and others will become platforms for banks. Even as firms like Goldman Sachs launch consumer lending platforms, they remain significant lenders on P2P platforms. Fintech companies can also thrive by offering tailored services that banks cannot match. For example, agritech platforms can participate in the farming cycle in a way banks cannot, by training farmers on seed quality and fertiliser use, and securing off-takers for the farm produce even before harvest. What alternative investment platforms may find harder to navigate is regulation. The United Kingdom (UK) has one of the most sophisticated financial systems in the world, and the Financial Conduct Authority (FCA) regulates the equity and debt crowdfunding market. In P2P lending, the FCA places emphasis on consumer protection, transparency of information, and financial stability of the lending platforms. Even in a P2P industry as old and large as the UK, regulators have battled to strike the right regulatory balance. Most recently, the FCA considered barring retail investors from P2P lending in the UK. The UK is a more liberal financial environment with more sophisticated investors, so it will be interesting to see how Nigerian regulators deal with industries like P2P lending when they grow large enough. But this regulatory puzzle applies to the entire Fintech industry in Nigeria. Our regulators do not have a very business-friendly reputation and, so far, they have adopted an uncompromising stance when dealing with the Fintech space. 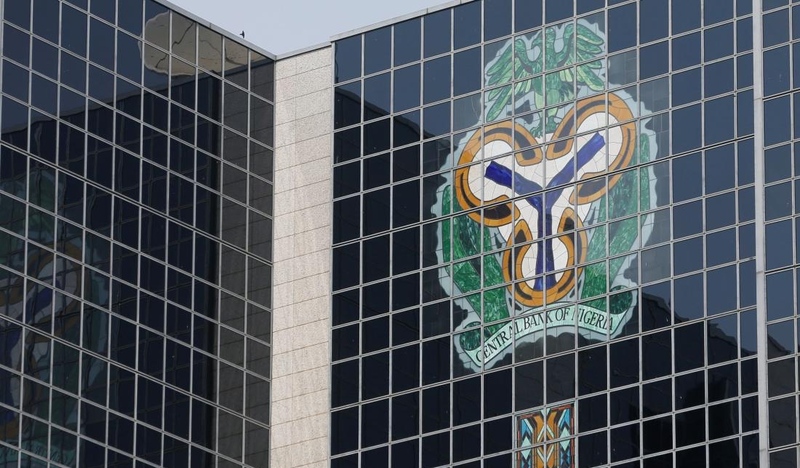 Regulation on payments and settlement firms released by the Central Bank of Nigeria (CBN) in October 2018 received severe criticism from industry watchers for having unreasonably high capital requirements among other issues. Apart from the payments regulation—and occasional warnings against Bitcoin investment, the CBN and SEC have so far ignored the alternative investment space. Knowing how erratic Nigerian regulators can be, and the fact that the international financial community is still unsure of how best to regulate these types of platforms, it is difficult to be optimistic. Unsuitable regulation could be the biggest existential threat to alternative investments in Nigeria. Yet, absent adequate regulatory supervision, the alternative investment landscape is more vulnerable to a market crash. Asset markets don’t crash because the underlying investments are bad in principle, but because they are mispriced. Stock markets crash, Bitcoin crashed, and even fixed income markets crash. Is a similar crash inevitable for alternative investments? Perhaps one caused by an outbreak of a crop-attacking pest like tomato ebola that wipes out a chunk of Nigeria’s harvest, or just a good old fashioned recession that makes a lot of loans go bad at the same time? Absent adequate regulatory supervision, the alternative investment landscape is more vulnerable to a market crash. Asset markets don’t crash because the underlying investments are bad in principle, but because they are mispriced. So far, there is little to indicate that this will happen in Nigeria, but China gives an extreme example of how alternative investments can go wrong. In 2017, China had about 1,500 P2P lending firms. By the end of 2019, it may have less than 500. Many of the bankruptcies and exits are firms used as fronts for illicit banking activity; therein lies the warning for Nigeria. China has one of the largest shadow banking operations in the world, equivalent to about a third of Chinese GDP, and as Chinese authorities have tried to crack down on the industry, wily players have retreated to less regulated spaces in finance like crowdfunding. In other words, alternative investment markets have been used as a vehicle of corruption by a dysfunctional banking system. Keep all these crowdfunding platforms in the light, and Nigeria should avoid the Chinese experience. In truth, the biggest drawback of alternative investments is in the name: alternative. It is doubtful how widespread they can get, as traditional investments remain an order of magnitude larger both at home and abroad. 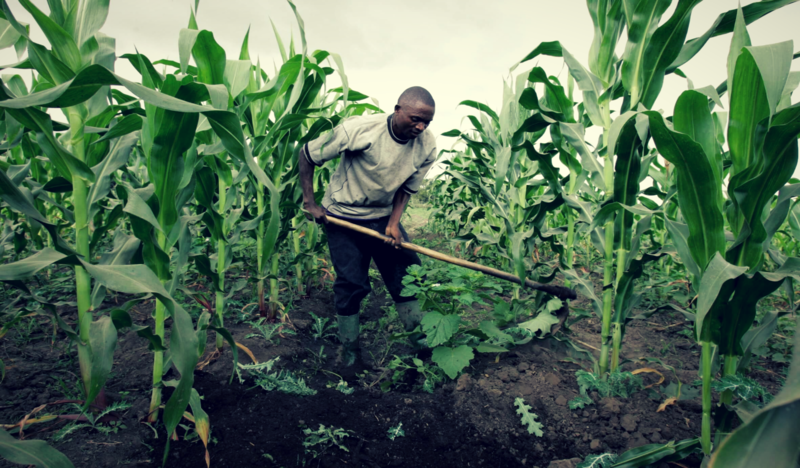 Agriculture crowdfunders in Nigeria have processed more than £10 million (₦3.6 billion) in financing over the last few years, but commercial banks gave the agriculture sector over ₦15 billion worth of loans in Q4’18 alone. Likewise, P2P lending is incredibly popular in the UK, and Zopa, one of largest, has lent roughly £4 billion to date. But UK households took out an extra £350 billion worth of credit card debt in January 2019 alone. Even Nigeria’s stock market which is small relative to the economy is a hundred times larger than all the alternative investment platforms combined—and the same is true abroad. Traditional investment vehicles have infrastructural, regulatory, and legacy advantages that technological disruption alone cannot shift. As long as these exist, alternative investments will remain more niche than the norm in Nigeria. IV. Will Alternative investment platforms become the future of marketplaces? One thing is for sure: these platforms are unlikely to look like how they do now. One foreseeable change is that they will become proper marketplaces for credit. So far, alternative investment markets have been quite small as only individuals have participated. This will change, especially in P2P lending. UK P2P lenders lent £6 billion in 2018 because of the presence of institutional lenders. Funding Circle, one of the biggest in the UK, and the first to list on the London Stock Exchange can count the UK government, CitiBank, and the German State Development Bank as lenders on its platform. The Average Joe may have launched P2P lending in Nigeria, but chances are the most prominent players will be institutions. Existing pension regulations would prevent a large pension fund from putting money in an agritech crowdfunding platform. So, for alternative investment platforms to reach their peak potential, they may need to secure mainstream approval. Some may even become proper banks. If Nigeria toes a similar path, banks, fund managers, and others will be filtering money through crowdfunding platforms. Inevitably, this will come with greater regulatory supervision as the groups with the largest pool of investible funds tend to be regulated by the SEC or similar organisations that bar them from certain investments. Existing pension regulations would prevent a large pension fund from putting money in an agritech crowdfunding platform. So, for alternative investment platforms to reach their peak potential, they may need to secure mainstream approval. Some may even become proper banks. Another probable development is that alternative investment platforms will become more diversified. At the moment, Nigerians can choose to invest in land in Ogun State, a farm in Plateau State, and a salaried worker with a side hustle in Lagos. Many other sectors in the economy require capital and any Fintech that finds a way of de-risking the sector will create a potential investment opportunity. Examples abroad show the sheer potential. Kiva is a typical crowdfunding P2P lending platform, but with a twist: the loans are targeted at the world’s poorest and fall somewhere between investment and charity. We have looked at the rise of alternative investments, made a case for why they are only going to get bigger and better, highlighted some of the challenges that lie ahead, and illustrated how the platforms that drive them could look in the future. Quite a few Nigerians are already on the bandwagon. Many more will join. Follow our Editor-in-Chief on Twitter @Mikey_Fam.